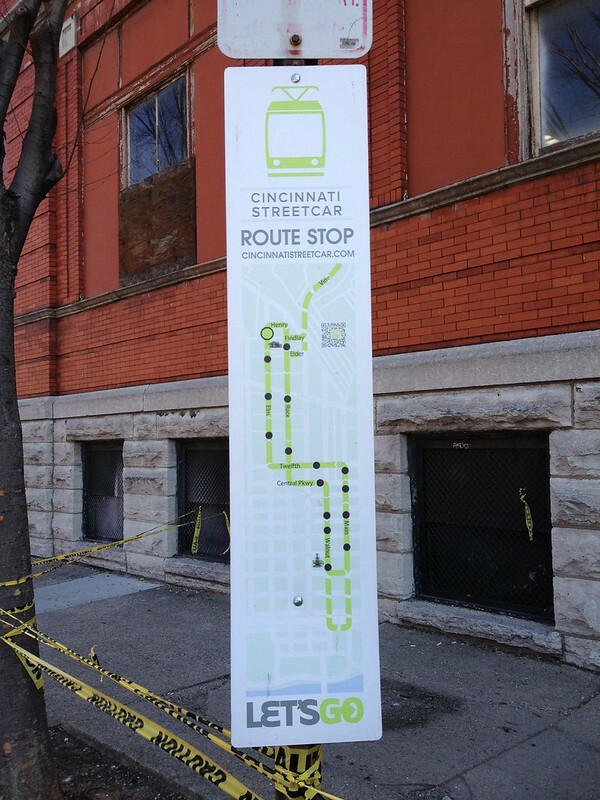 A group of transit enthusiasts and urban explorers gathered one sunny Thursday morning to walk the route of the Cincinnati Streetcar. 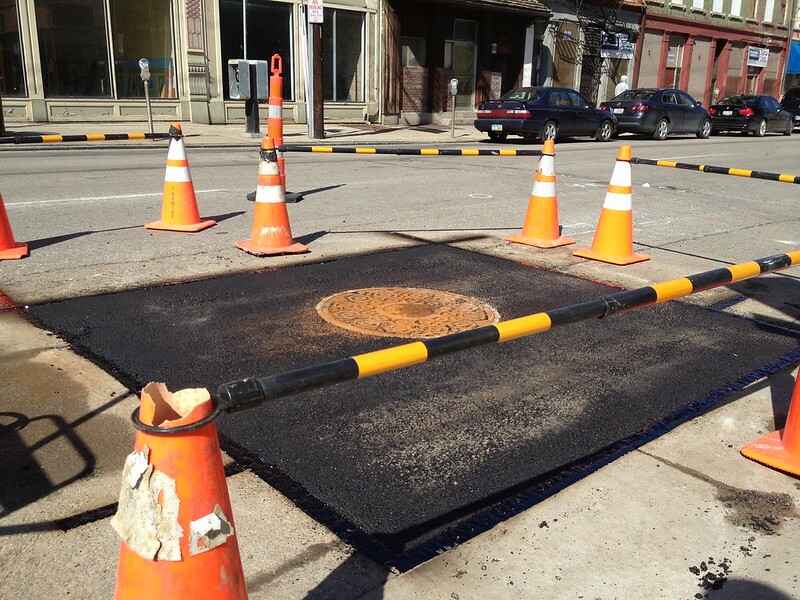 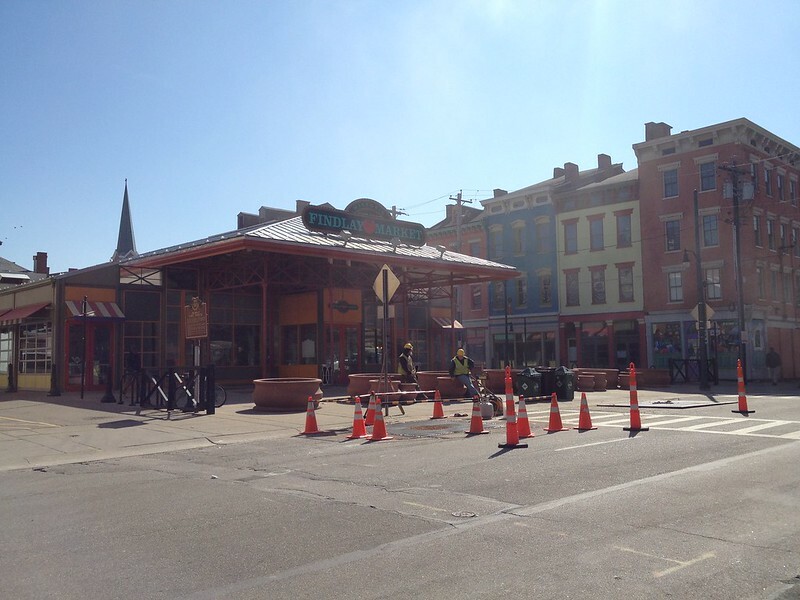 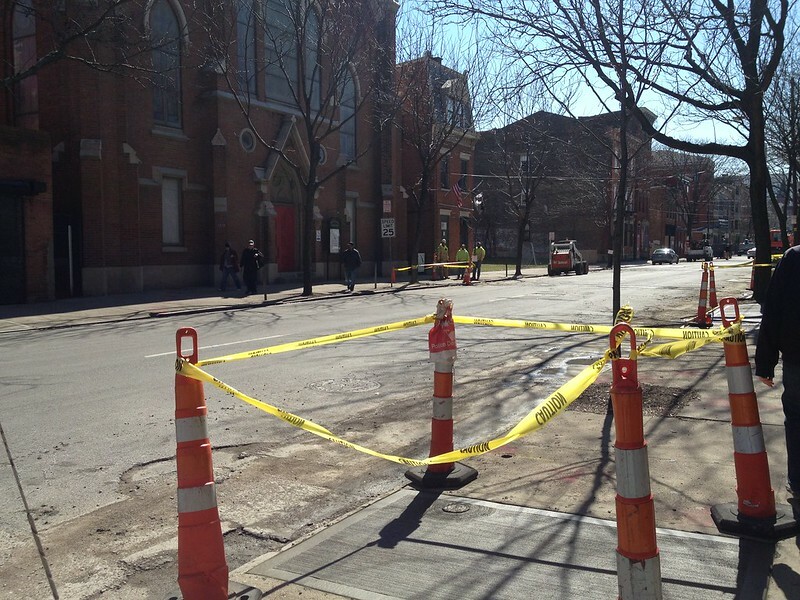 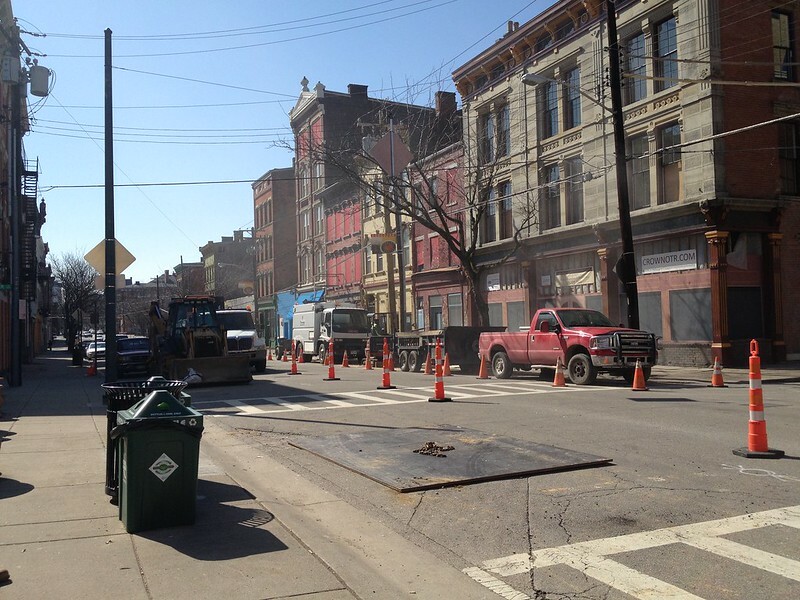 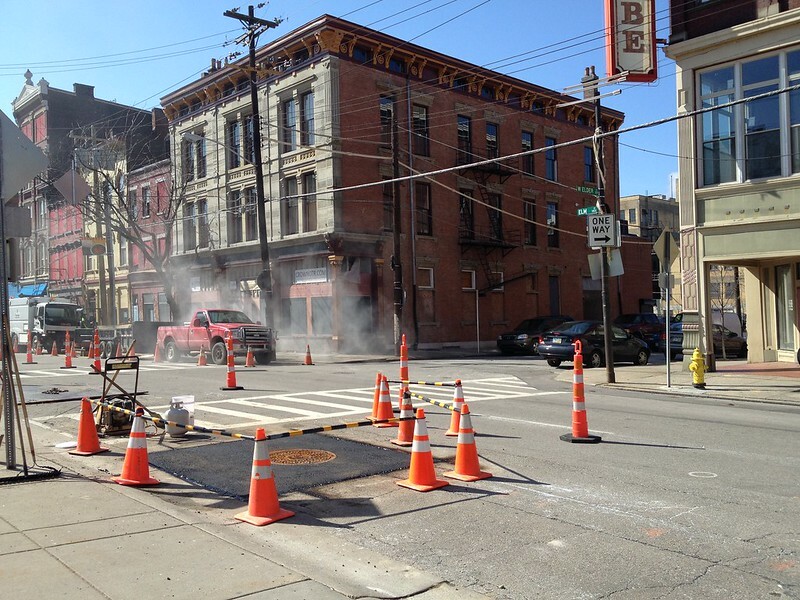 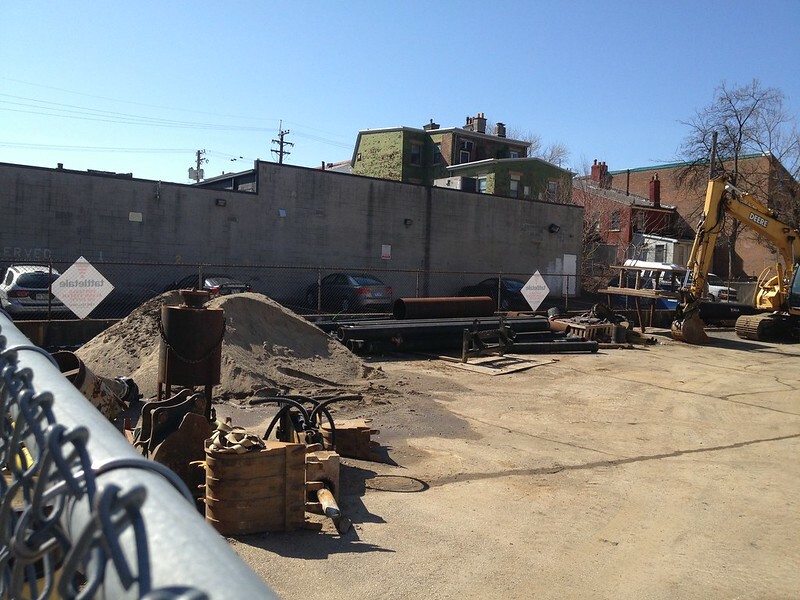 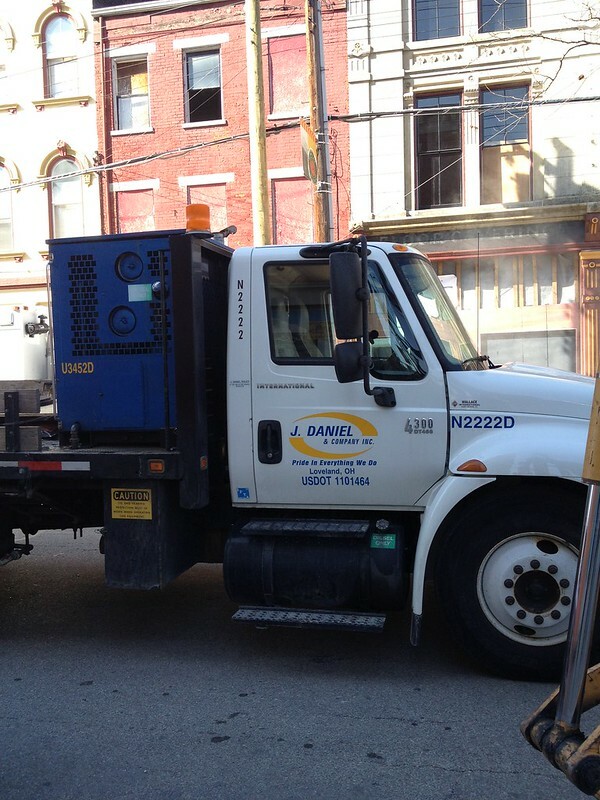 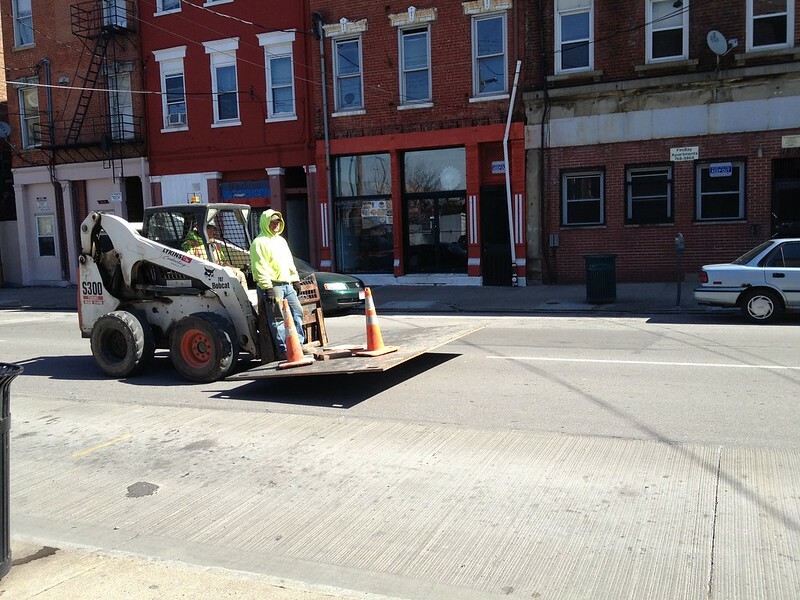 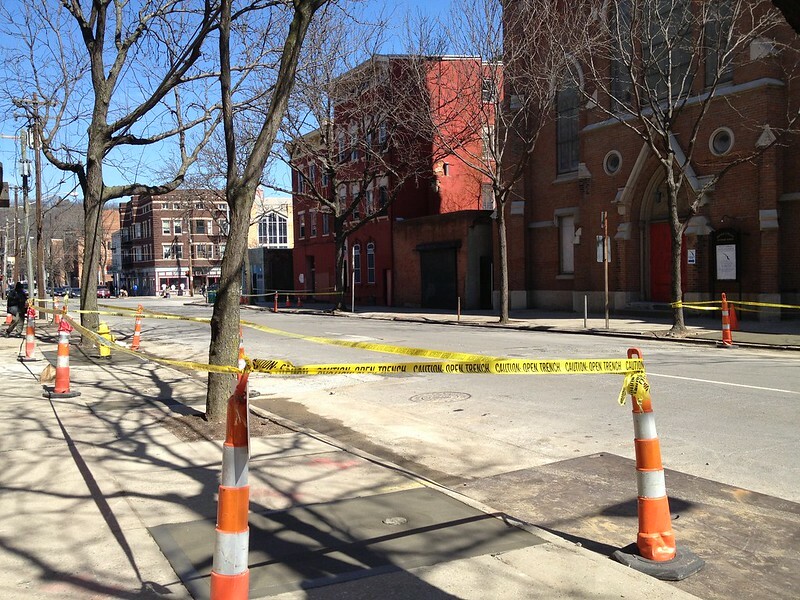 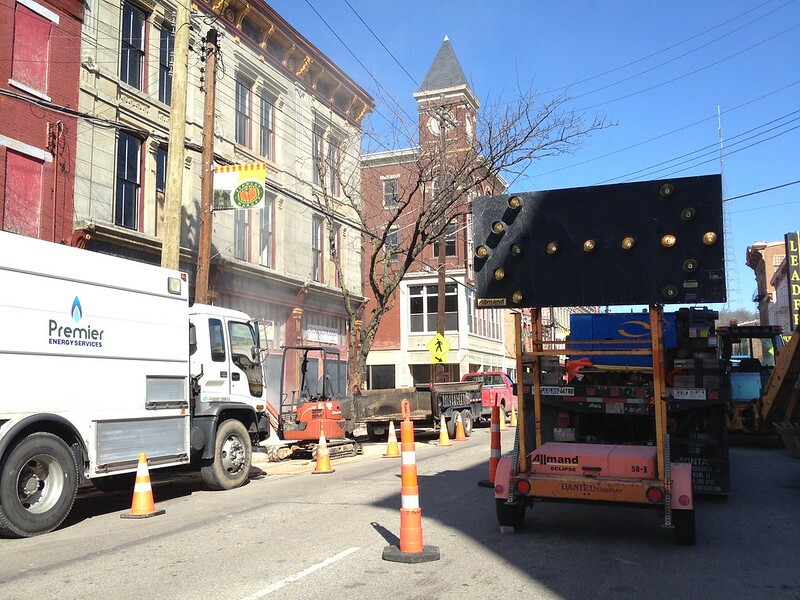 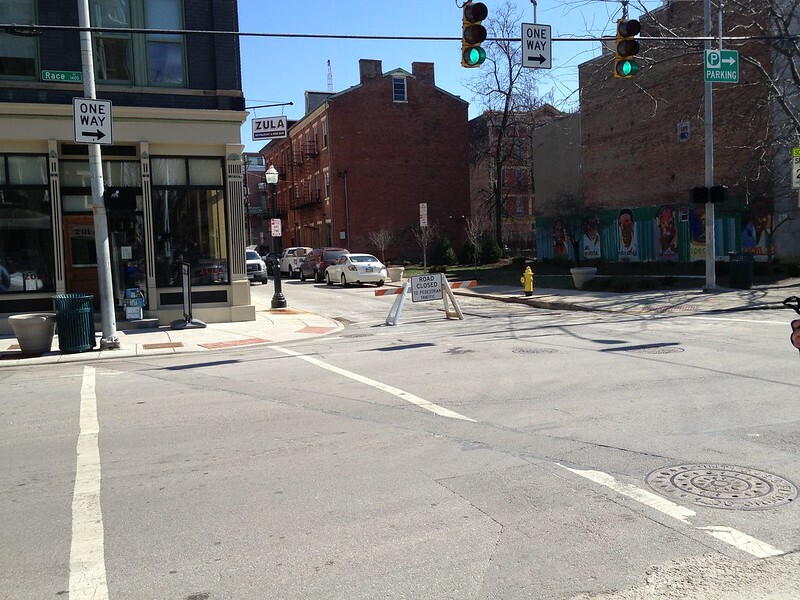 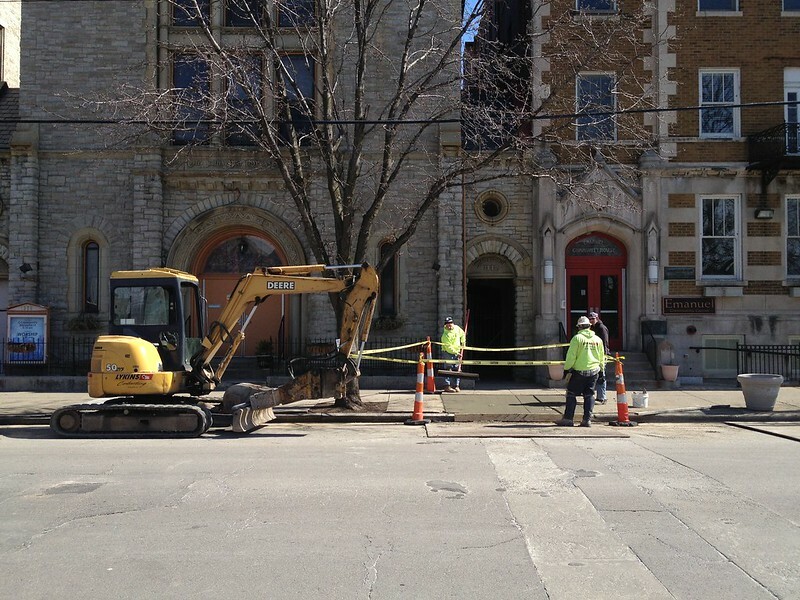 With construction beginning Spring 2013, many changes will be underway to the landscape of Downtown and Over-The-Rhine. 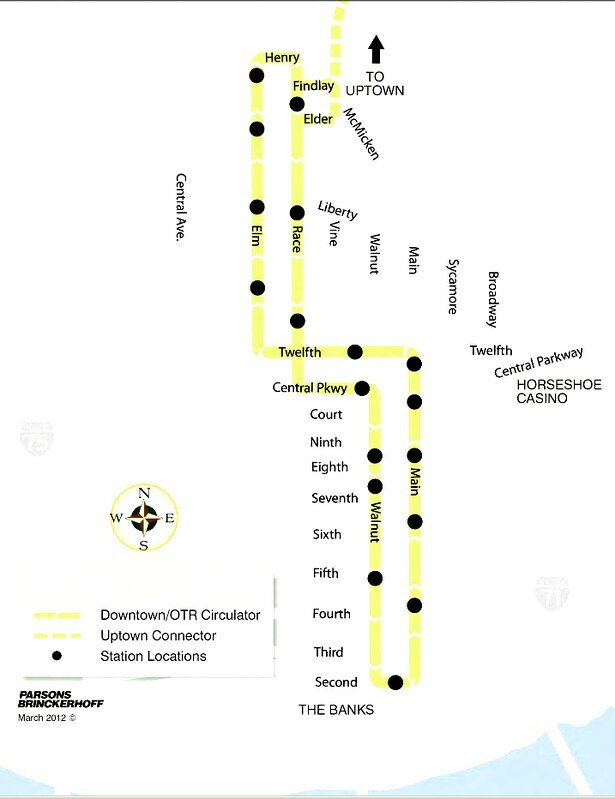 Once a month, Noel Prows organizes the walking group to view and document the development of light rail in the Queen City. 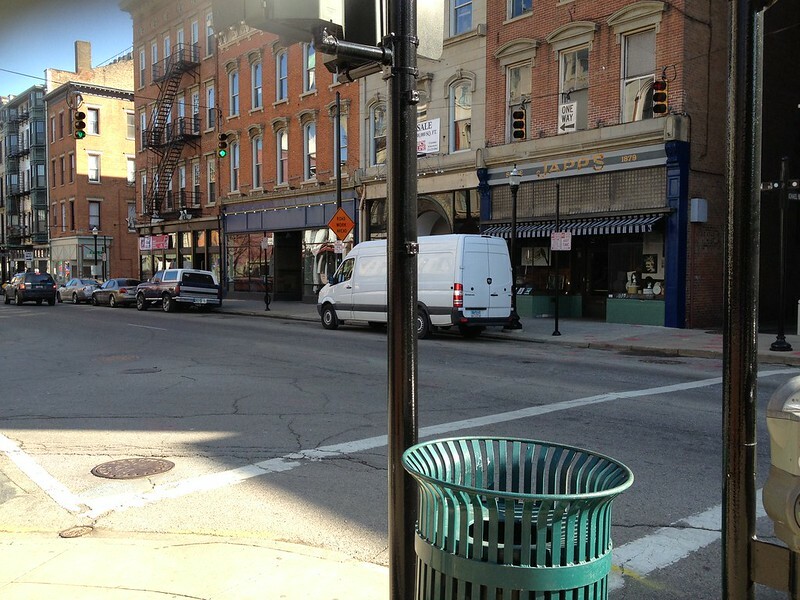 Our goal is to walk the entire route in a morning, something that can be accomplished in 2 - 3 hours. 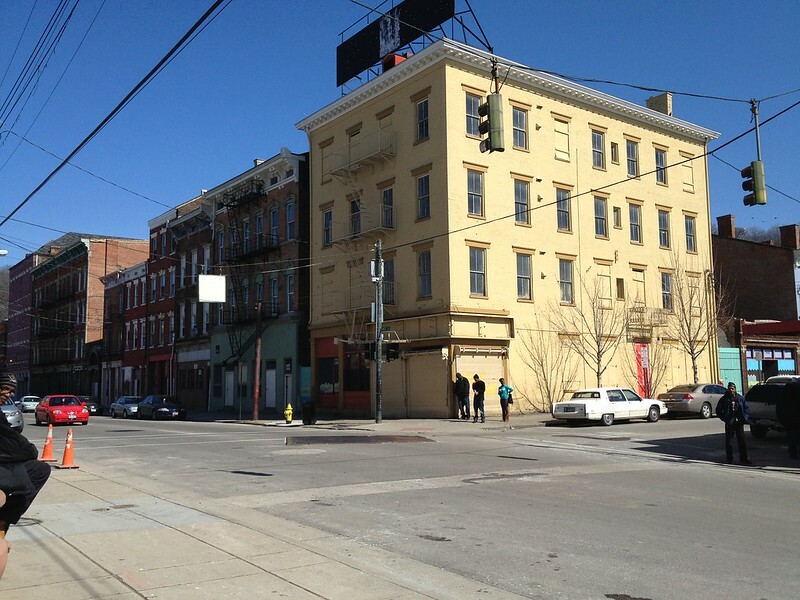 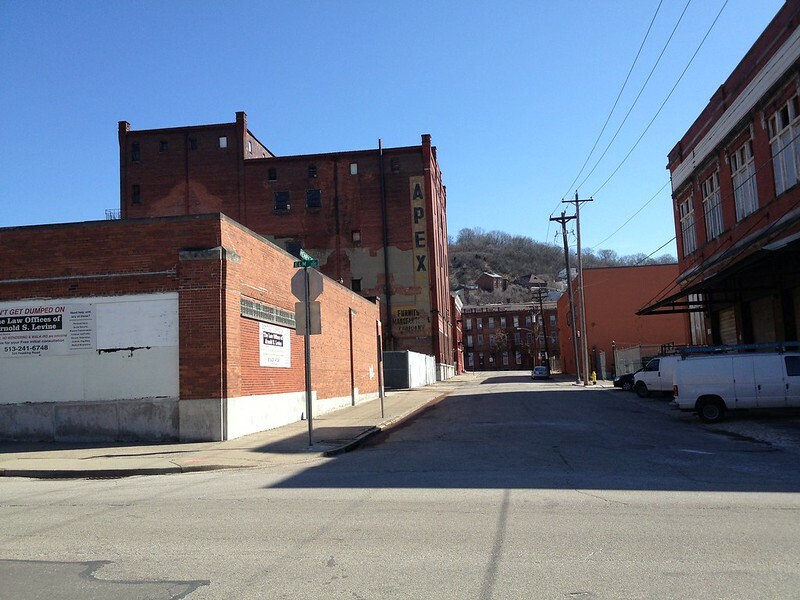 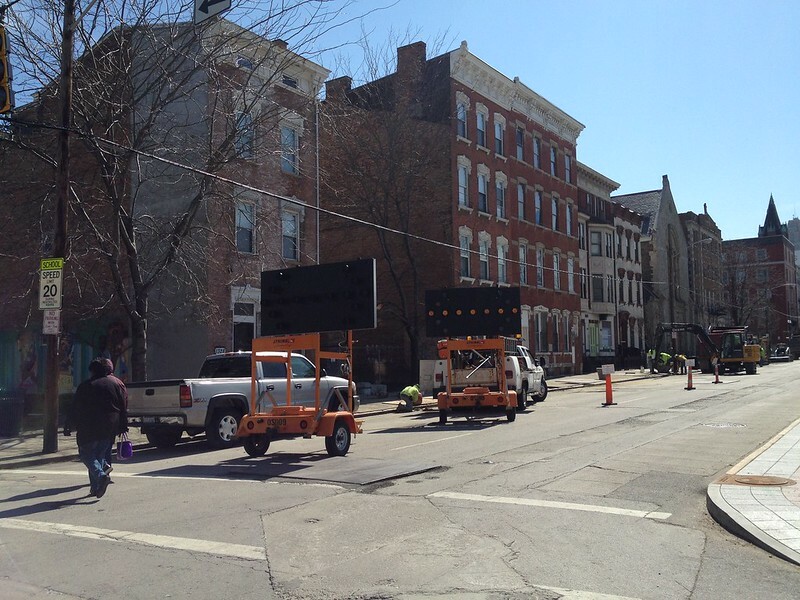 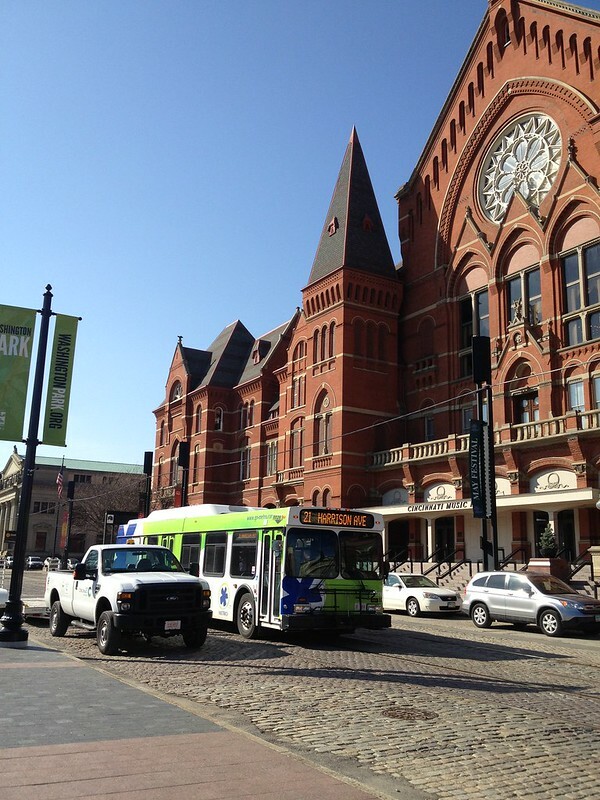 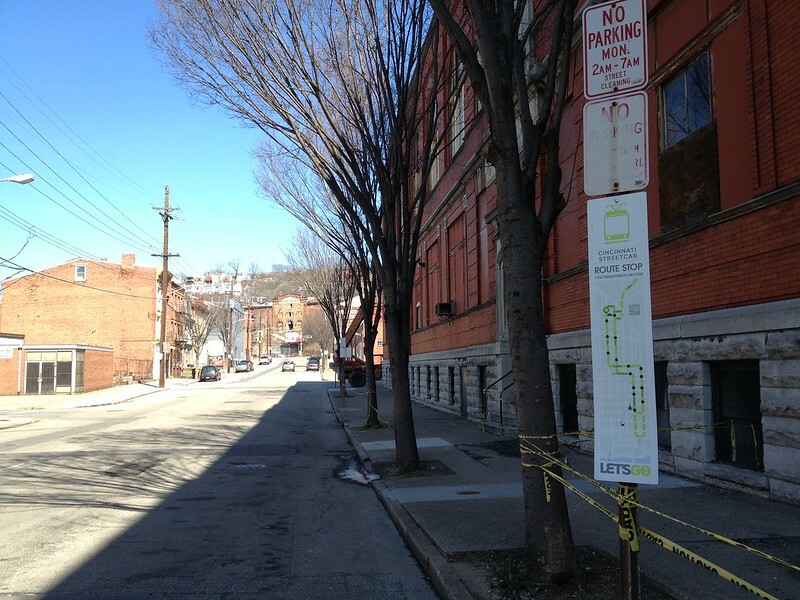 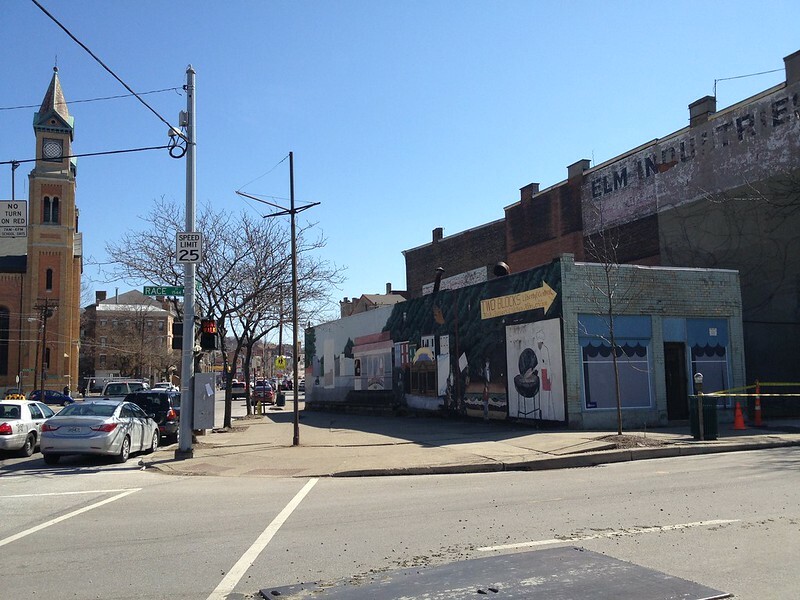 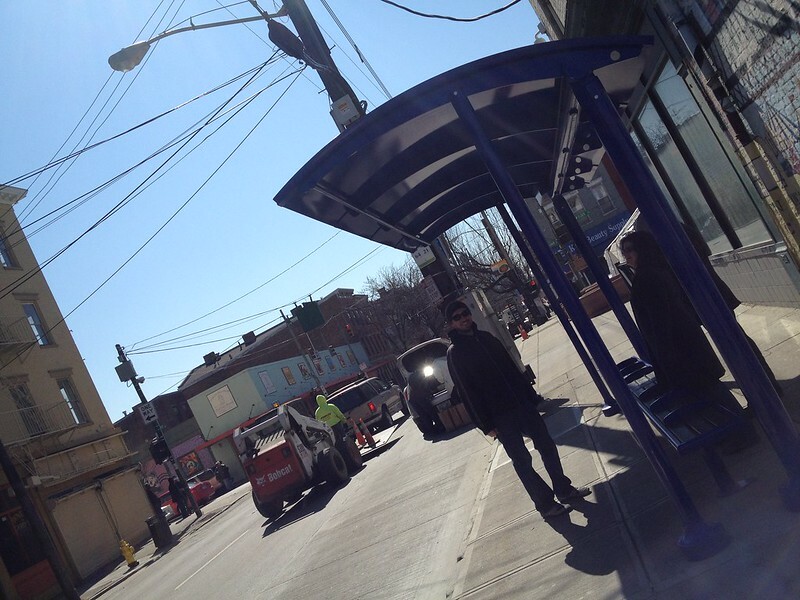 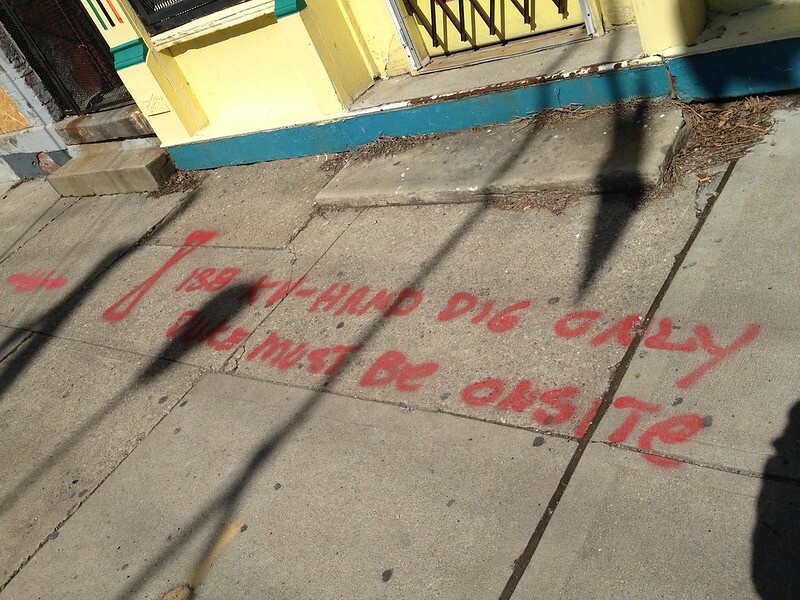 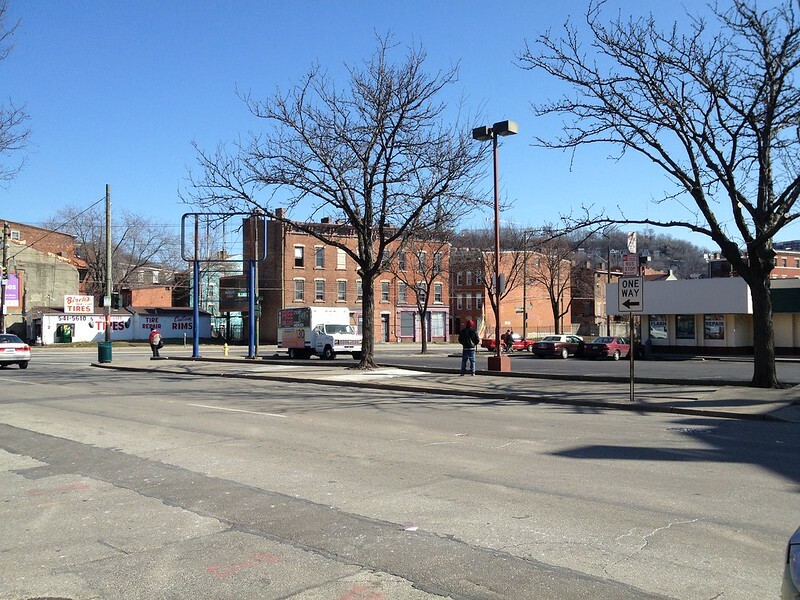 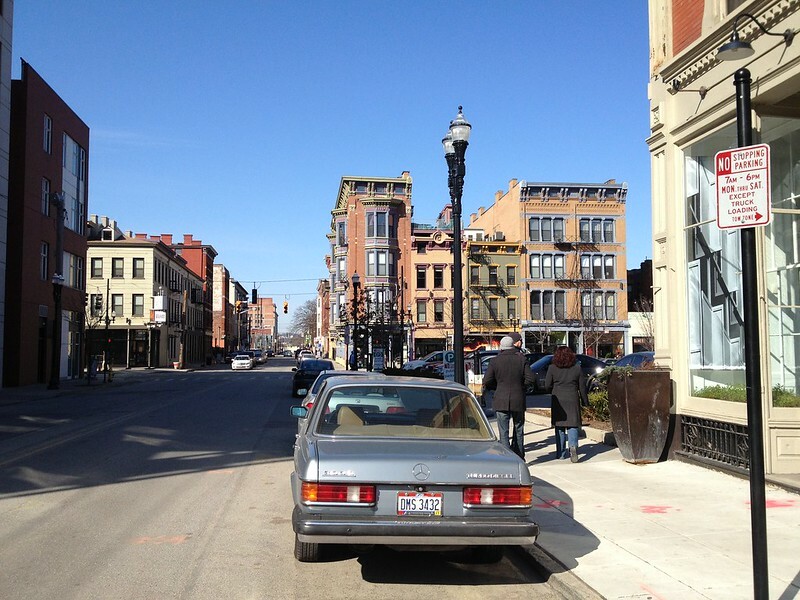 In March, we focused on the Over-The-Rhine portion between Central Parkway and Henry Street. 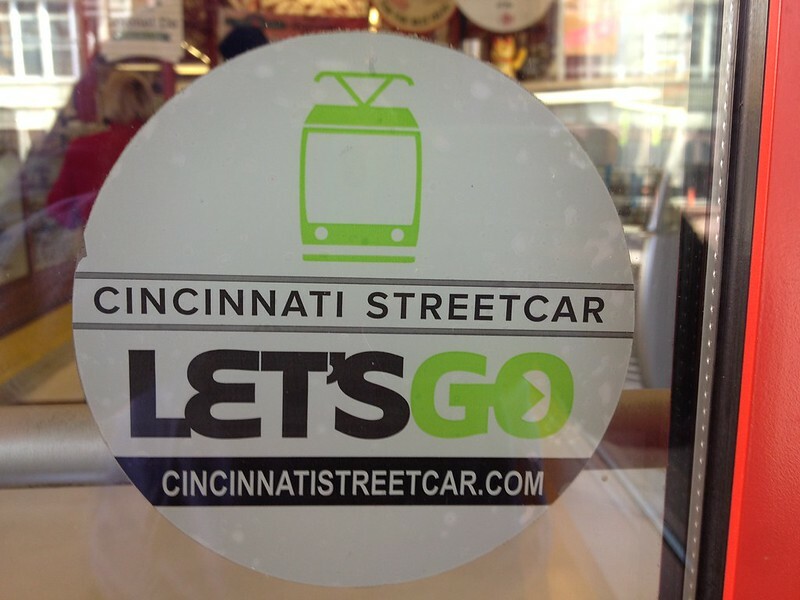 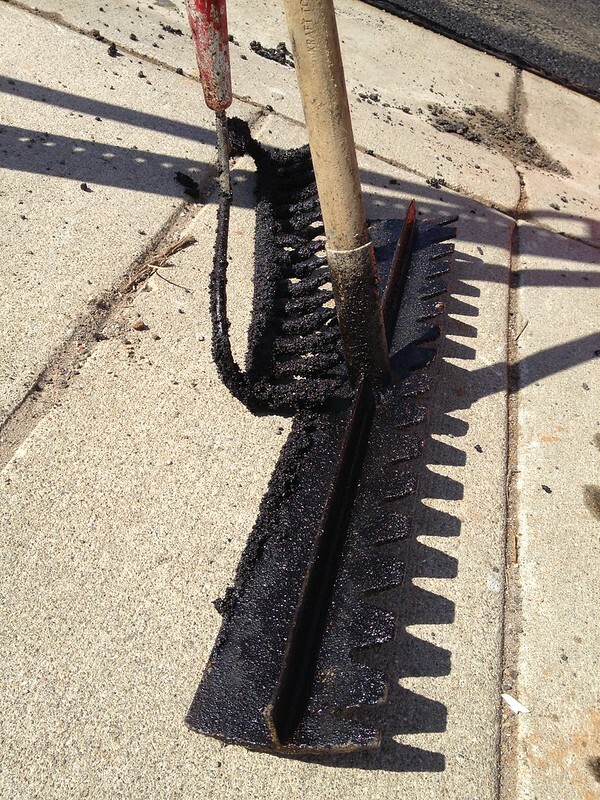 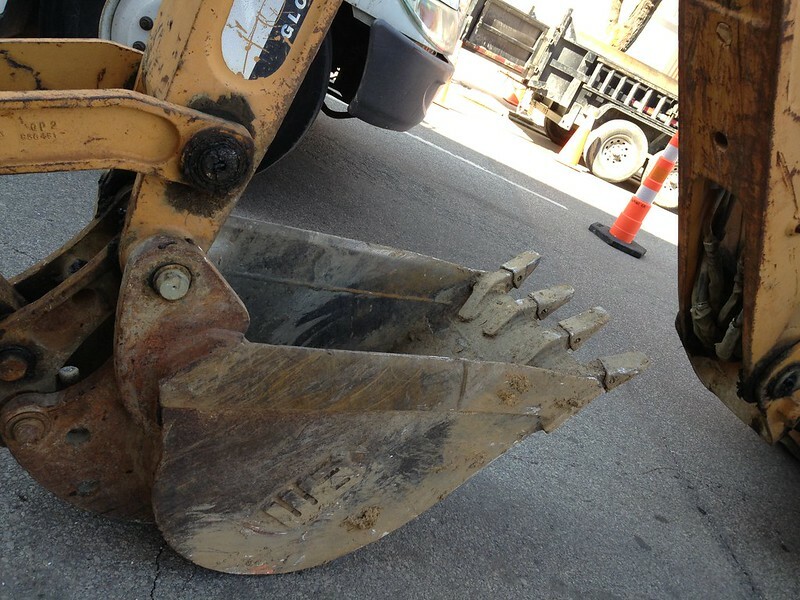 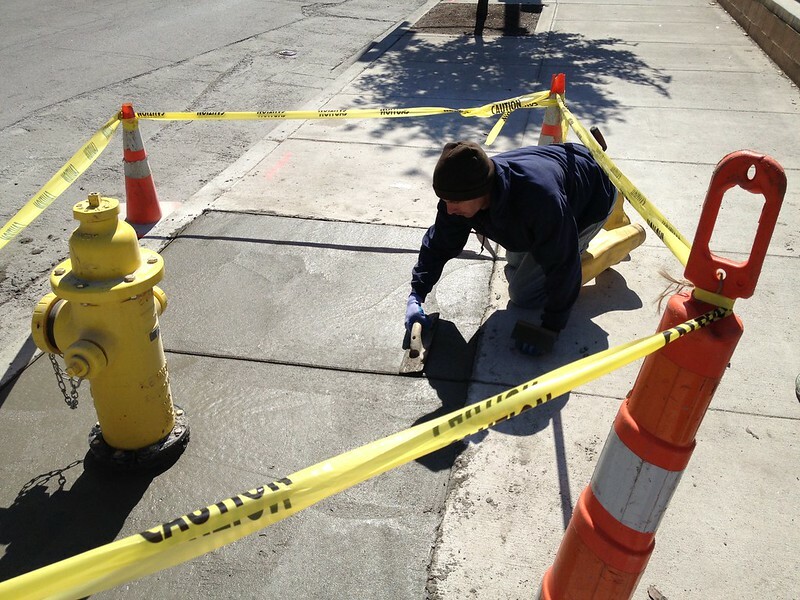 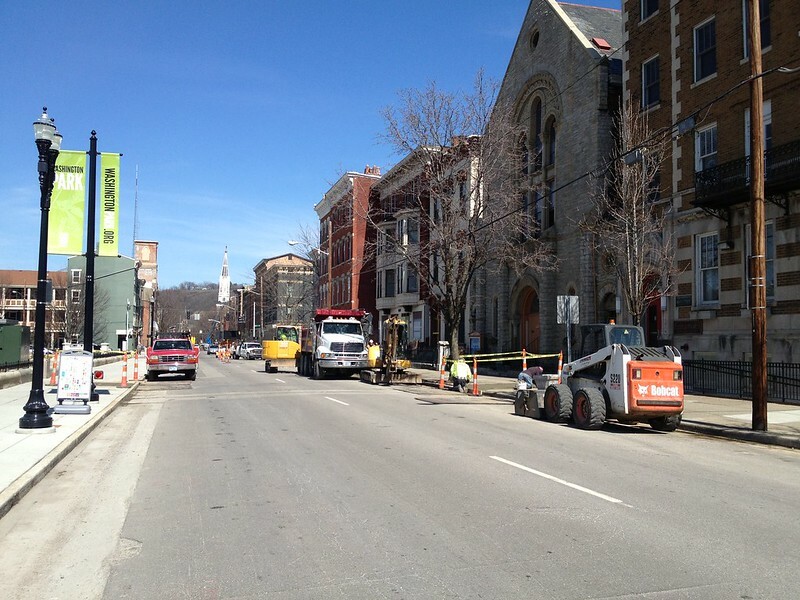 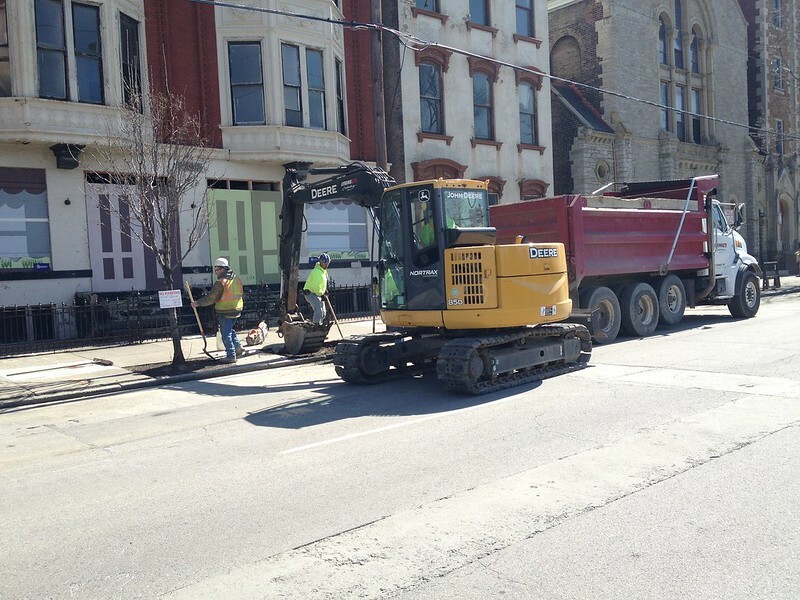 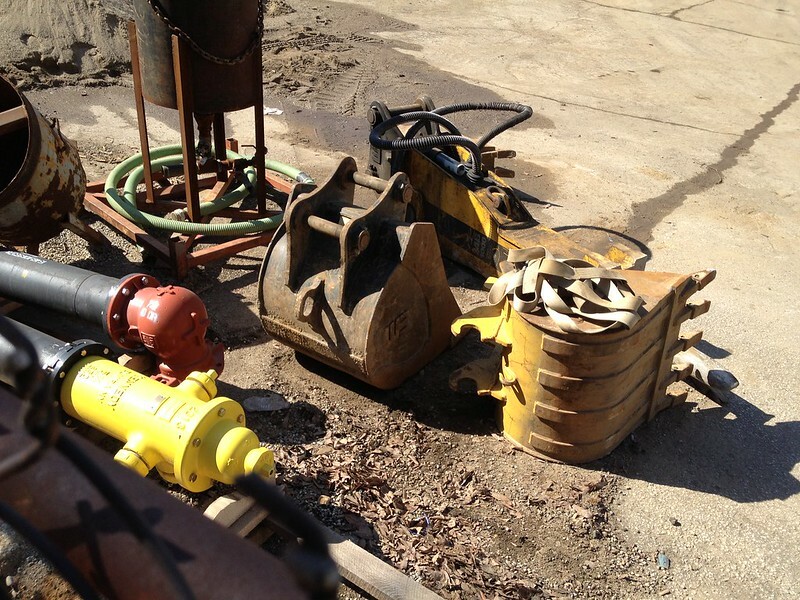 Local contractors from Loveland are being utilized for the Streetcar project.